These bands are made of Perlon and enormously strong. Price is low and life expectancy is long. Total length of the band ±22 cm. 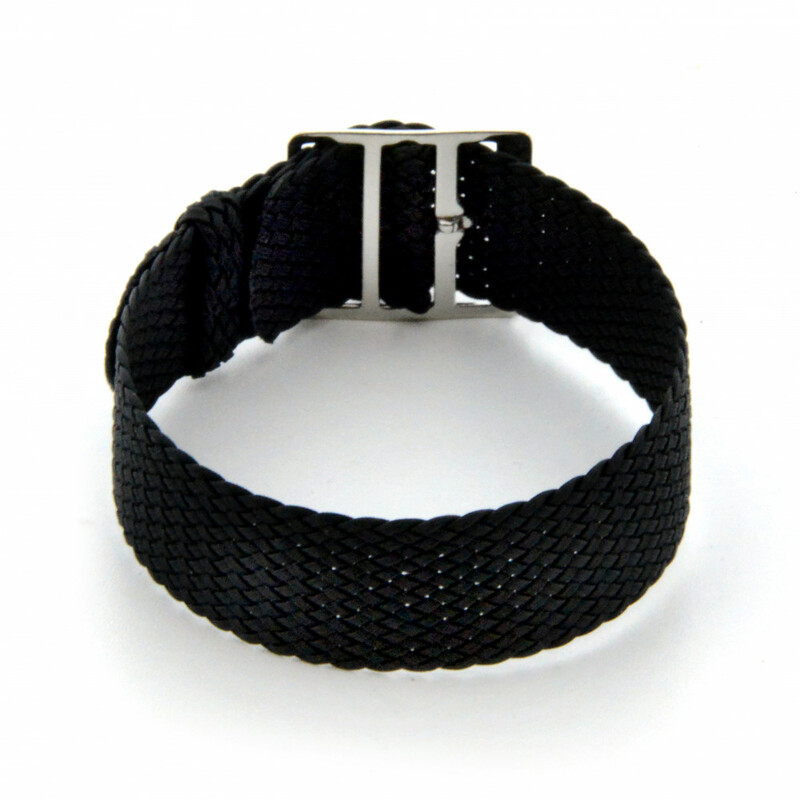 Available with double (gold) or a steel buckle. You also have a choice between with or without a push pin, these are the springs to tighten the band between the fasteners of the watch case.